Home > Hot Topics > How to Root Android like Samsung Galaxy S7/S7 Edge? To root or not to root? That’s a question. When it comes to rooting your Android, you may be willing to accept it or reluctant to perform a jailbreak on your own Android phone. What in the world is rooting? Should you root? How to root Android if you are ready to root your new Samsung S7/S7 edge? This article will expound the answers below. Part 1: What is “rooting”? Rooting is a jailbreak for Android phone, granting you the highest authority to access the operating system for customizing the phone at his own will. When you take your phone out of box, you can tweak some settings which the manufacturer allows you to. With a rooted phone that opens up a world of possibility, you will be rid of any restrictions on operating the phone. Once you’re rooted not only can you get more apps on Google store, find the OS version you want, delete superfluous bloatware for good to free up internal memory, but install the customized kernels that are optimized differently, boost battery life as well as improve the performance. Rooting will void your warranty or even leave you a bricked device. If you want to keep the warranty for your phone, you are not suggested to rooting your Android device. Due to the unrestricted access, you would face a security risk, you should cautiously use your phone. Before you root the Android phone, you need to back up the phone data in case that they get lost after rooting. If you didn’t back up previously, you can use Gihosoft Android Data Recovery Free software to recover lost data. Besides, make sure that your Android device has at least 50% of battery remained, otherwise your Android runs out of battery, the device is likely to turn brick. Download and install iRoot on your Window computer. Then use USB cable to connect your Android phone to the computer with USB debugging mode enabled. When your phone is recognized, the interface as below will pop up. 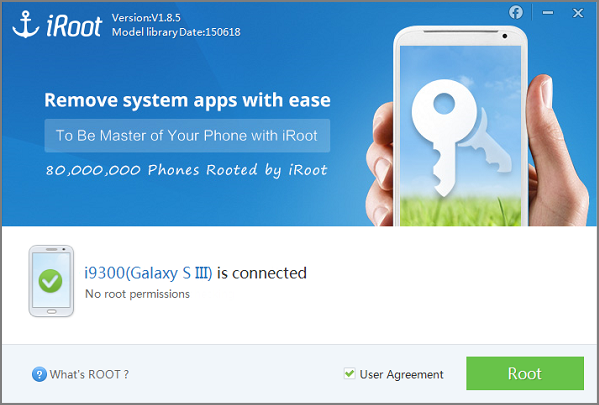 Click on “Root” to enable the program to root your Samsung Galaxy phone. 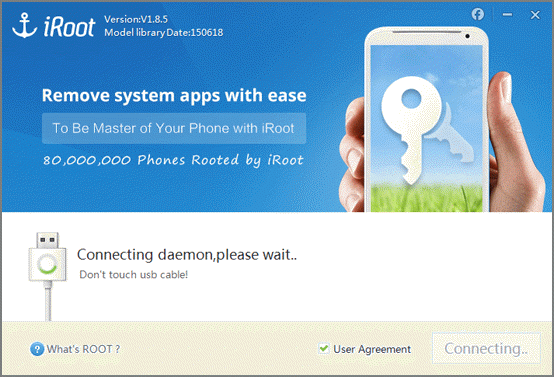 Given that no one rooting tool by far can be 100% compatible with all Android devices, if iRoot fails to work on your device, you may refer to “how to root Android” to get more solutions. On your Samsung Galaxy S7 or S7 Edge, navigate to Developer options and turn on OEM Unlock. You’ll need CF Auto Root for the Galaxy S7 or CF Auto Root for the Galaxy S7 Edge on computer which depends on which phone you’re using. Besides, Odin is importantly required. In order to successfully connect Samsung Galaxy S7/S7 Edge to computer, you should download the driver on your computer. Hold down the Home, Power and Volume Down buttons until your Galaxy S7 device comes to “download mode”. You’ll need to press the volume up button to verify your option. With the CF Auto Root downloaded on your computer, extract the zip and open the folder. 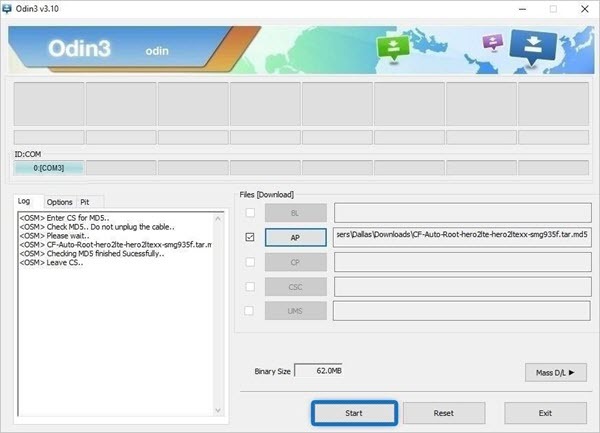 Right-click on the Odin3-v3.10.6.exe file that was extracted from the CF Auto Root ZIP, then choose “Run as administrator” to ensure rooting runs properly. 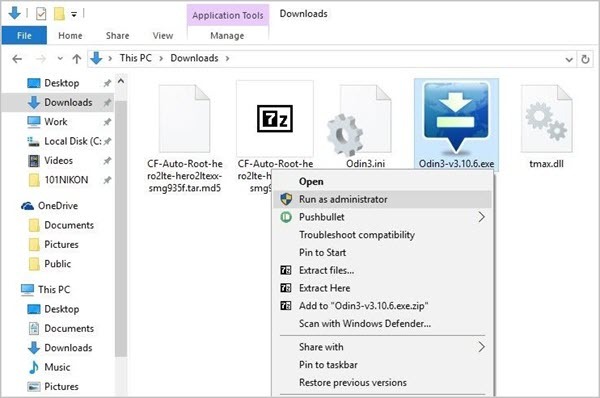 When you come to the main menu of the Odin, click the “AP” button and select the CF Auto Root tar.md5 file from the ZIP you extracted earlier. Make sure that you have Auto-Reboot and F.Reset options checked on Odin, but Repartition button unchecked. After all these, click “Start” to root your Samsung Galaxy S7/S7 edge. Few minutes later, when the rooting process is finished, the Samsung S7 device will reboot automatically as a sign of rooting successfully.